London-based independent sports production company Input Media has been appointed by the BBC to produce coverage of this summer’s FIFA Women’s World Cup in France. The tournament runs from 7 June to 7 July 2019. Input Media will produce live programming for broadcast on the BBC’s network TV channels, BBC iPlayer and the BBC Sport website. The contract, secured after a competitive tender process, represents an extension of the company’s relationship with the BBC; Input Media produced coverage of this tournament from Canada in 2015 and currently produces the FA Cup Goals Exchange for the BBC. 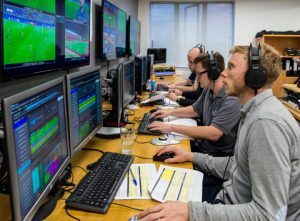 Following a successful summer of 2018, when a large production and technical team from Input Media worked on behalf of HBS at the FIFA World Cup in Russia, the award of the FIFA Women’s World Cup underlines the company’s football production credentials. These include live coverage and highlights from every round of The FA Cup, England internationals at Wembley, UEFA Champions League and UEFA Europa League content. Away from football, the company also produces a variety of live coverage and fast turnaround highlights shows for other broadcasters, international federations and rights holders. These include the world feed from Roland Garros for the FFT, production services for Cage Warriors events and big screen content for the RFU.